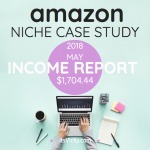 I have gotten a lot of interest and feedback on this Amazon Niche Site Case Study, so I have decided to give you a monthly update on how things are going. Can’t believe I am summarizing month 15 already for this site. If you have read some of the other related posts to this case study you know that the site is a health related site monetized with Amazon products. My goal the whole time has been to create a hands-off site with mostly outsourced content. 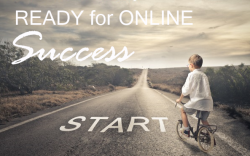 This site has definitely not been a race, but with increasing organic listings in Google and other search engines, the site is now seeing some traction and increase in rankings, traffic, and sales. I try to be as transparent as possible and share real numbers with you. We look at traffic, rankings, sales and more. I get traffic by submitting helpful content on a regular basis. Content based on keywords, that rank well in the search engines. It’s pretty much all organic traffic. Traffic that grows and increases naturally over time. Users, sessions, page views and session duration has increased. Great progress, and I’m really excited about this. Above numbers are taken from my Google Analytics account. I also like checking in on my traffic using SemRush. SemRush is an excellent tool to keep track of traffic, keywords and more. The content is based on keywords. No keyword stuffing but I use keywords in the title first and sometimes the last paragraph, that’s pretty much it. 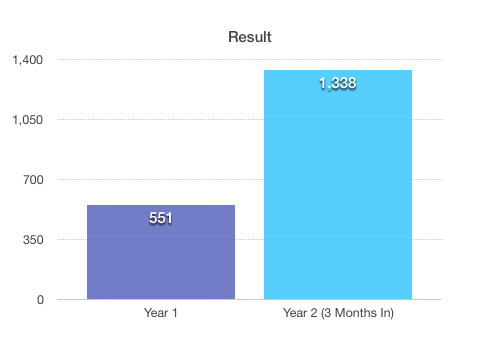 Let’s look and see if we gained any keyword rankings for month 15. Here you can see the keyword progress over the last 6 months. Again SemRush is tracking and delivering invaluable information about your rankings. A lot of activities in the gained and lost keyword section, let’s look at the Google algorithm updates for May and see if we can connect the dots. For almost a week we had algorithm updates according to major “Google weather trackers”. The updates have not been confirmed by Google and webmasters are not jumping for joy or crying floods so there’s been updates but nothing too major. This could have affected some of the gained and lost keywords though. About a year ago the first mobile-friendly algorithms and updates from Google where implemented, last month the second one were rolled out. If your site is already mobile friendly, then you might have seen a small impact. You might have gained some rankings though due to nonmobile friendly sites taking a hit. The number of sales has been increasing month by month, something that’s great. I also work on increasing the commission amount/sale by recommending more high ticket items. It’s good to recommend both, low and high ticket items. Low ticket items to get the sales number and Amazon commission increased. High ticket items to bump the $$. Let’s look at the sale, commissions, expenses and result for the month. 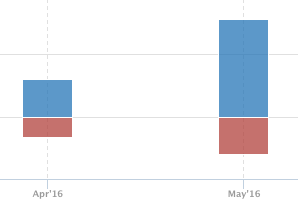 I like the improvement in sales from April to May. The reason the total result is a little bit less in May than April is due to increased expenses with the added reviews. The reviews I see as a great investment going forward though. I’m happy about the increased commission, that is a step in the right direction as well. 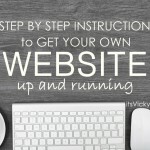 Are you interested in setting up a similar website? 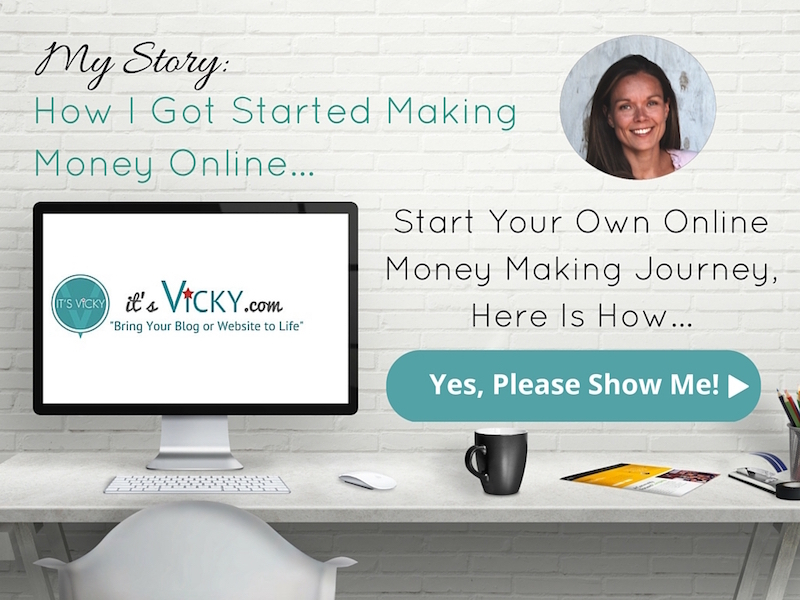 Click Here to see how I got started! 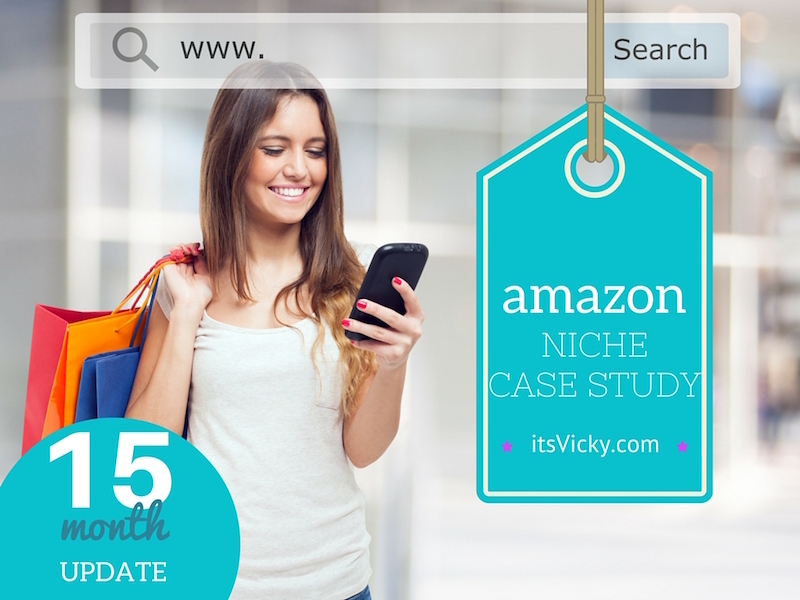 I love the progress of this Amazon niche case study site. I hope I can keep the momentum going through the summer. The main sub niches I’ve been working with are focused on the winter months. I’m trying to diversify but it takes time when building with organic traffic. So, focus right now is to get through the summer with continued growth. To gear up for the winter months and holiday season. I see those months being the big earning months for this site and I’m really excited to see what the site can do. Focus has also been on reviewing more high ticket items. Most reviewed items on the site today are below $100, going forward I want to balance that out with some more high ticket items. Product Reviews – I have finally found a great writer for my product reviews, took some time, but it was worth it. Right now I submit one in-depth review weekly and I will continue to do so. Weekly Submissions – In addition to the weekly review, I also submit two posts from my other writer. 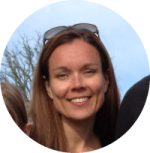 She has great expertise in the niche and has been a great asset to have on board. A total of 3 articles submitted weekly. But, that’s why I love working for myself. I decide what to do with my site… I decide where to work from… we love to travel so that’s what we will be doing this summer. The scheduling feature in WordPress is my best friend. I try to stay a couple of months ahead of schedule so I can take time off and enjoy the summer with my family and friends. Who is your customer, 3-month update? Is the site out of the red, 6-month update. 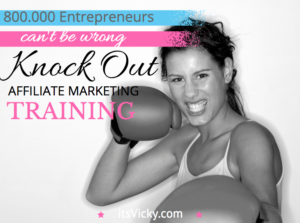 Do you have a niche site monetized with Amazon? How is it going? Feel free to share your thoughts below in the comment section. Hi Vicky, thanks for sharing. Very inspiring, have a great weekend. Glad you enjoyed the post Wayne! Thank you, Veronica. Hope you had a great trip back to Sweden. Not back yet 🙂 Going to Florida in July we then fly from there to Sweden for the month of August… We are very excited! I love this post it gives those of us following suit lots of inspiration. I know that wealth doesnt happen over night but by patience and hard work. Keep up the good work and enjoy your family. It does take patience for sure, you constantly learn and keep implementing what works! I have been working on me site now for only 3 months and seeing things like this really got me excited. I have a really high ticket niche as in gold investing so if I can get as many page hits as you have after 15 months I should be able to make some real money. I’m really interested about SemRush , looks like an awesome thing to have. Do you have a review for it and also, is it Free? I want to start making some money on my site before I start investing in more things. Make the site pay for it. Did you outsource your content from the beginning or is it in later days when you can pay for the outsourcing with your income? That’s the thing if you stick with it, keep working at it, you will get there! SemRush is a great tool. I have a review in the “works” will let you know when it’s done. They do have a free trial with limited access to information. You can upgrade to premium and take part of all the information. The free version is definitely worth signing up with though. This is actually very inspiring for me as I have just started my blog and website out. I’m going to go back and read the other article. 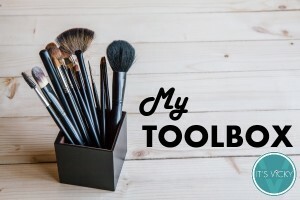 What tools do you use besides WA? 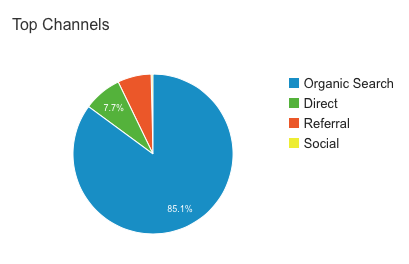 Is it Google analytics giving you those pretty graphs? Feel free to come back and read the previous posts, it gives you a good insight in the process and progress of the site. This was an absolute pleasure to read Vicky. I love how informative and transparent you are. I’ll definitely be coming back to check for more of your updates. Thanks for the great info! Thank you Pete, glad you enjoyed the post! Come back anytime you want! Hey Vicky. Thanks for the information, nice to see all your hard work pays off. Very inspiring for those of us still getting our feet wet. Interesting write up, and knowing the data can be collected for analysis especially nowadays the keyword is analytics. I also like your website estates layout, clean and neat with lots of pictures/photos. Something I can learn. This is very possible. It will take time and patience… but very doable. I love the way you break it all down in your case study. 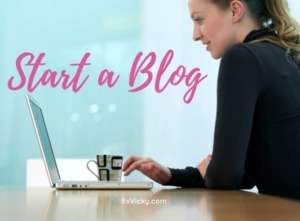 You make it very clear that if you stick with it and keep adding content, you can make money from your niche. I am going to go and read the rest of the updates you have listed. Very interesting. Thank you. Glad you like the content, feel free to come back anytime you want to read the updates. I think the winter months, October, November and December will be very exciting if the site keeps improving like it is. That’s great! Congratulations to your success!